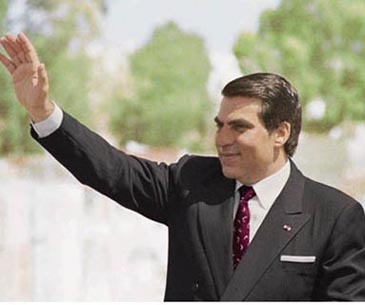 President Zine El Abidine BEN ALI of Tunisia. Tunisians and Koreans have several similarities and many common features: in their attachment to their respective homeland, in their firm willingness to upgrade their countries to the highest level of progress, in some traditions and way of life, when they show respect for elderly people and in their utmost concern to give the most appropriate and best education to their children, Tunisian Ambassador to Korea Mustapha Khammari said. "Tunisia has no abundant oil resources. As Korea also, Tunisia - and we have to precise at this point that this is a fundamental choice of the policy carried out by His Excellency Zine El Abidine Ben Ali, President of the Republic of Tunisia,- rely on the capacity and creativity of its own children and young people to pay the efforts necessary to the development of the country," he said in an interview with the Seoul Times. Briefly, "you" in Korea and "we" in Tunisia, we endeavor to overcome the challenges of progress with our own brains and labor, said Amb. Khammari who assumed the Seoul post on Dec. 7, 2007. "If we add to those similarities, the beauty Tunisia offers with its vast stretches of glistening and white sandy Mediterranean beaches covering 800 mile coasts, its magnificent countryside panoramas, its lush oases and sweeping Saharan landscapes as well as its rich and deep-rooted history …you will understand why Tunisia can definitely attract Korean tourists, catches their interest and curiosity and offers to them all the ingredients of " Joie de vivre" at a very competitive costs," he went on . On the other hand, Korean tourists who are lovers of natural and biological products can feast on in Tunisia where vegetables, fruits and fish have a unique taste that comes from the beautiful sun of Tunisia and nurtured by its rich soil, which produces excellent biological and healthy agricultural items, he said. "This is why Koreans who choose to visit Tunisia will be satisfied. I am confident that their choice to visit Tunisia will be a judicious one, especially that they will be able to follow 3000 years of history of brilliant civilizations that have marked Tunisia since the Phoenicians and General Hannibal with his warlike saga that enables him to cross the Alps on elephants .. to arrive to today's Tunisia, a very stable and safe country with its so blue sea and glistening coasts in the heart of the Mediterranean sea,"Amb.Khammari maintained. In fact Korean can follow a unique historical itinerary in Tunisia by choosing to visit some of the exceptional and historical treasures, including over 20 000 archeological sites and hundreds of monuments, museums and historical centers and a total of eight world heritage sites. The most frequently visited are Carthage, Bardo Mesum (hosting the world largest mosaic collection) and El Jem Coliseum (second only to Rome), according to Tunisian envoy who has journalistic background before joining the foreign service. Tunisia is renown for its ecotourism as well as sports infrastructures which are popular among foreign holidaymakers. Tunisia ranks 30th in the world hierarchy of the economic competitiveness, according to the latest World Economic Forum Report. The per capita GNP grows five times over the past 20 years. The efforts that were undertaken during the last two decades under the wise and farsighted leadership of His Excellency the President Ben Ali qualified as "The man of the Tunisian Miracle," have endowed Tunisia with unprecedented assets and infrastructures in all fields..
Tunisia enjoys magnificent football stadium, like the 7th of November stadium built by Koreans, more than 20 golf courses, indoor halls for all kind of sports Infrastructure for yachting …splendid beaches for surfing..Swimming pools…whatever the activity of sport tourism you are willing to practice, he said adding:" Tunisia open its arms to welcome you." For whom they like sailing, windsurfing, water-skiing, horseback riding, pedestrian walk, fishing, underwater fishing, hunting…Tunisia is an ideal place with very reasonable prices, according to Amb. Khammari. "You can also enjoy Health tourism, which is already the principal magnet for many tourists from all over the world. With 25 Thalassotherapy centers- medical treatment with seawater-, today Tunisia is amongst the top world destinations for this cure," he said. My answer is that "There are more ways to Tunisia than one," You know that Tunisia is located in the center of the Mediterranean basin which makes it a destination at the next door of the main European capitals. Less than three hours flying time from major European and Middle Eastern Cities, the Land of Carthage and Hannibal is a preferred destination, 50mn from Rome..2 hours from Paris, Madrid, Barcelone.. 2 hours 30mn from Frankfurt, London..Brussels..3hours from Cairo, he explained. Korean Tourist whom, like Americans and Europeans don't need visa to enter to Tunisia, can choose several itineraries to get to there ..
"Emirates Airlines, Qatar Airways, as Air France, Turkish Airlines, Lufthansa could bring you to Tunisia…waiting that Korean Air and Tunis Air establish direct liaison between Seoul and Tunis… We are working on it and we hope to find out the appropriate solutions. Meanwhile, I ask you ..Korean tourists.. to choose from now on Tunisia to spend their vacancies… you will be delighted," he went on . The Mediterranean Sea, the Mountains, the greenery and the Sahara mix their beauties so they offer to visitors an extraordinary and unique deal of diversity which associates beach to desert in a very eco friendly and warm area. "You can stretch out on the white sandy Mediterranean beaches of Hammamet in the morning and spend, during the same day, the afternoon and the night in the heart of the Sahara under the enchanting blue sky contemplating stars …and their splendid reflection on the golden sand hills," Tunisian envoy pointed out. 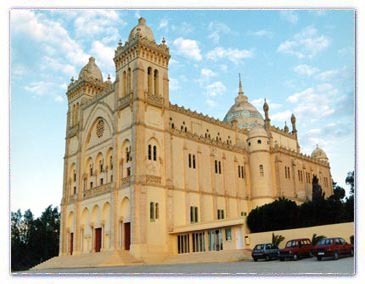 Tunisia is blessed with rich historical heritage.. The next day you can visit "Djerba," the Island of the Legendary Ulysses, ranked recently by the famous American travel guide 'Trip Adviser" as the 1st tourist spot in the world for 2008, where you can find all the tourist commodities through its luxury world class hotels. From Djerba you can change the cap to Sousse where you can visit El Kantaoui Marina with its beautiful sailing boats. 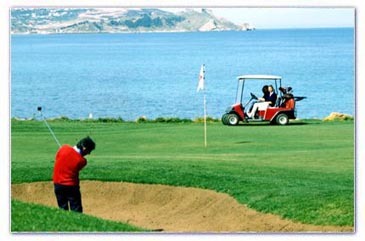 "If you prefer to play Golf you can enjoyed at the sea side in "Tabarka," in "Hammame," in "La Soukra" or in other tourist resorts where the greenery is so vivid and the air so pure and healthy,"he said adding::"We can also continue to enumerate by filling endless columns here, what Korean tourist could enjoy during his stay in Tunisia…However, I am not going to further monopolize the hospitality of your Journal and awaiting seeing Koreans between the numerous tourist visiting Tunisia each year we wish that we gave them some first hand pleasure to discover It, before they will visit It where they will definitely be enchanted."